and details for exhibition organizers. The map section above shows Wilhelmstal in its immediate surroundings. Rail connections are clearly visible. 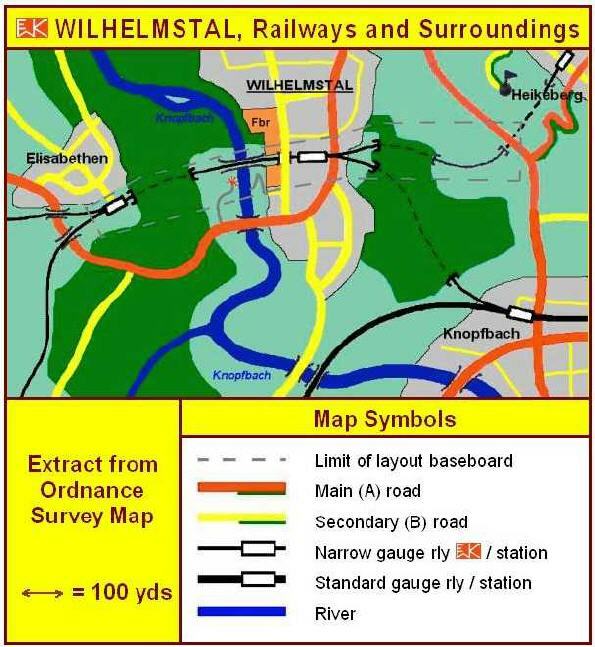 Heikeberg is the next station of the WEK on the line that leaves Wilhelmstal to the East (on the layout the line with the terminal loop to the right, see layout plan below). Knopfbach is the location, which gives the WEK connection to the standard gauge network. On the layout this is the hidden fiddleyard underneath the baseboard (line continued by "A" in the plan below). Knopfbach has connection to Rotstein. In the map section this is the standard gauge line to the South. Furthermore Knopfbach has a loading ramp for transporter cars, that can convey standard gauge waggons onto the WEK network. Elisabethen is reached via the WEK line over the Knopfbach viaduct to hte West. Usually Elisabethen is represented on the layout by the Turntable Fiddleyard. 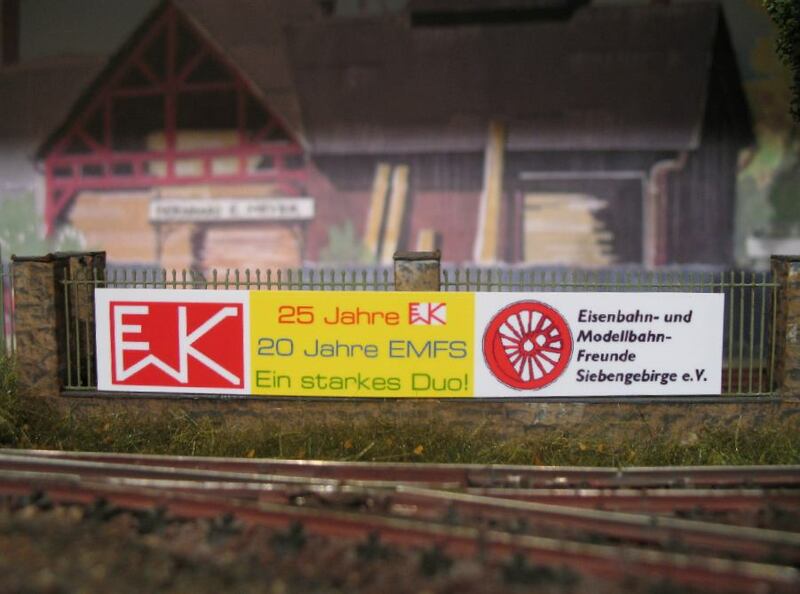 When at meetings with a modular layout the EMFS/Fremo connecting module "Elisabethen" replaces the turntable (see track plan below), also the small junction Elisabethen is represented in model form. Plan of the layout Click on plan to enlarge! 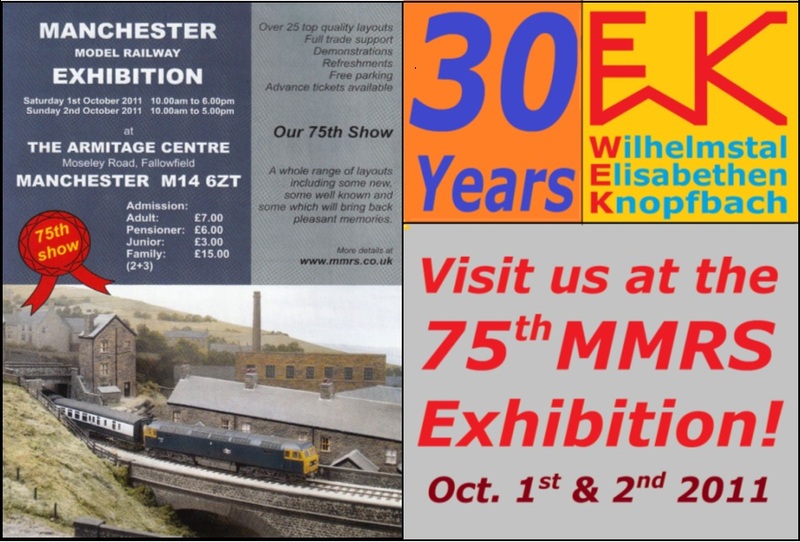 Since being established in 1981 (Silver Jubilee in 2006 and 30st anniversary 2011!) 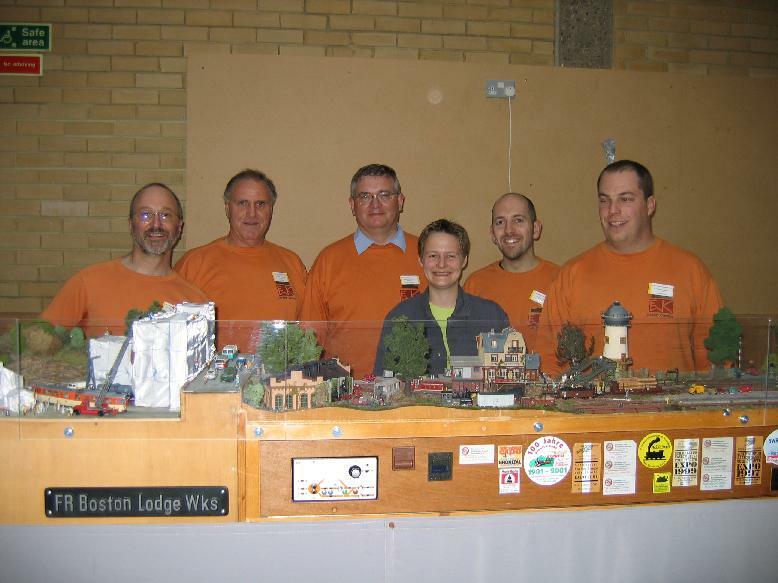 the WEK attended more than fifty exhibitions in Germany, the U.K. and Austria with its layout. Visitors always enjoyed the variety of busy operation and especially watching the diligent staff and other folks at work.